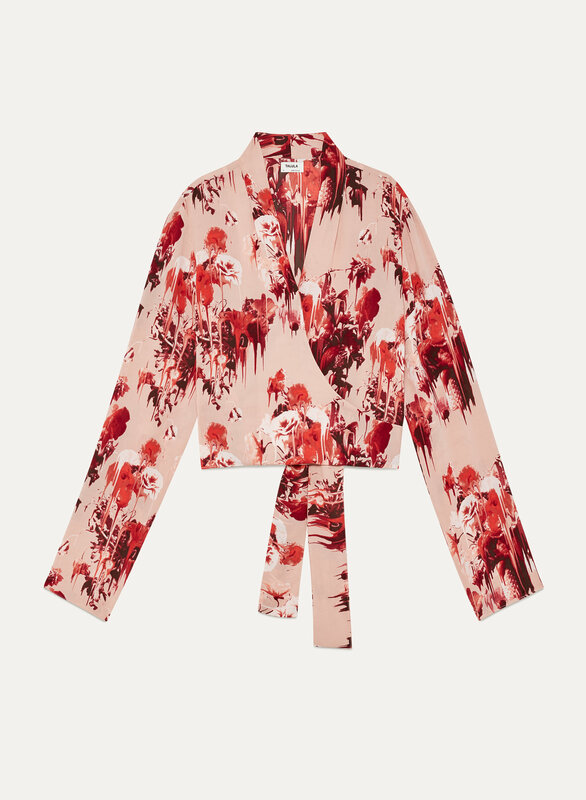 Kimono-inspired and highly versatile, you choose where you tie this blouse — in the front or the back. 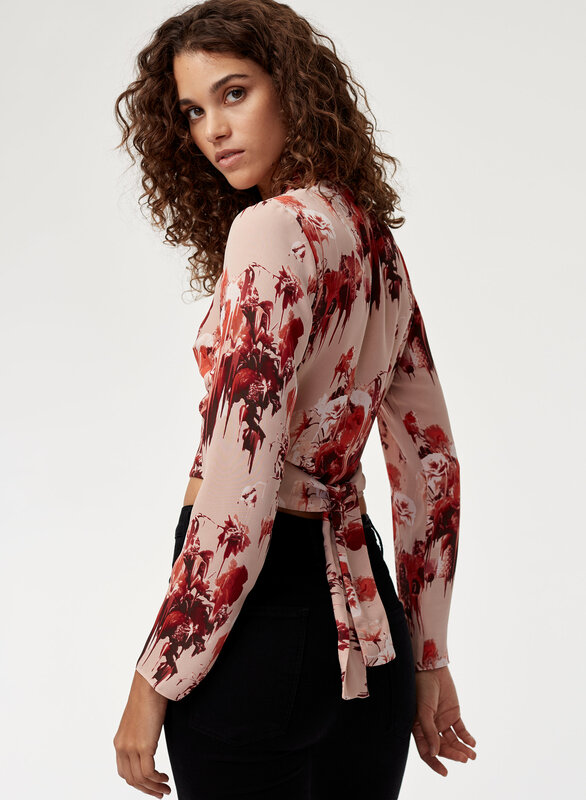 Absolutely love this top - beautiful and delicate. Arms are a little on the small side, though. 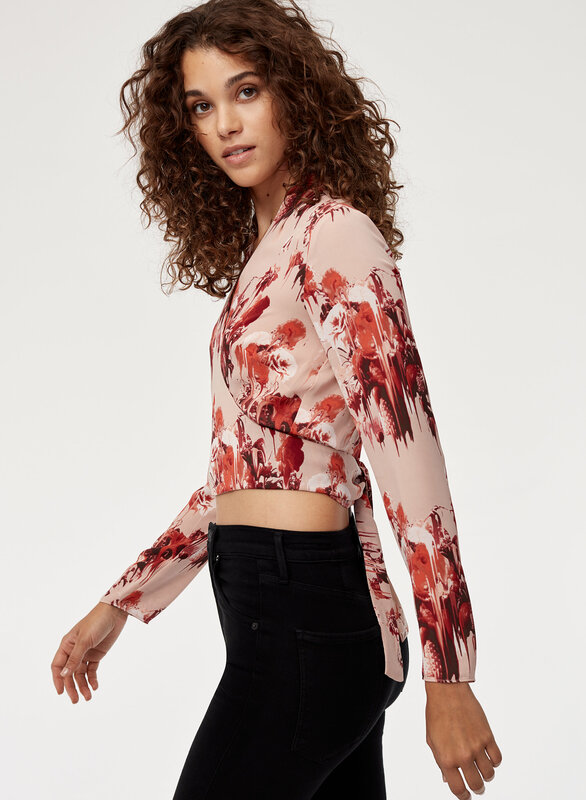 I have very slender limbs and am usually an XS at Aritzia and a S barely fits me. Keeping but just won't be lifting my arms! 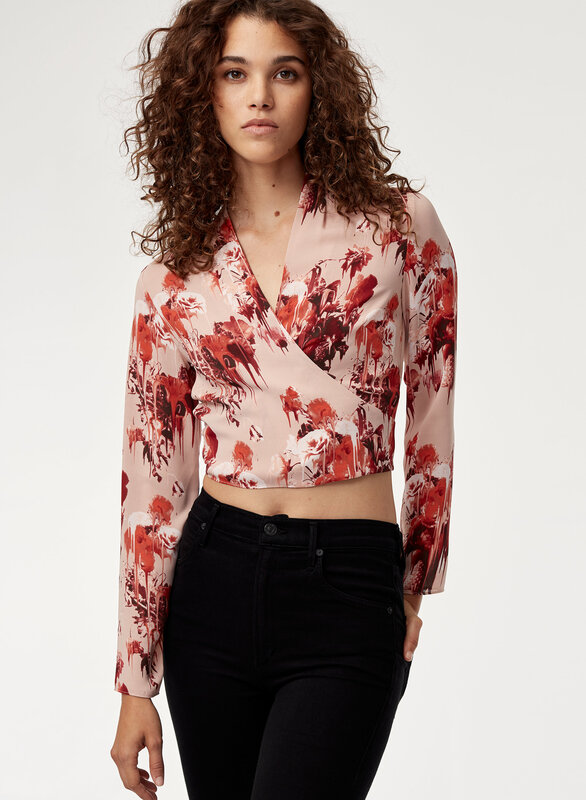 It’s a gorgeous top but runs small, other than that it’s absolutely beautiful!! 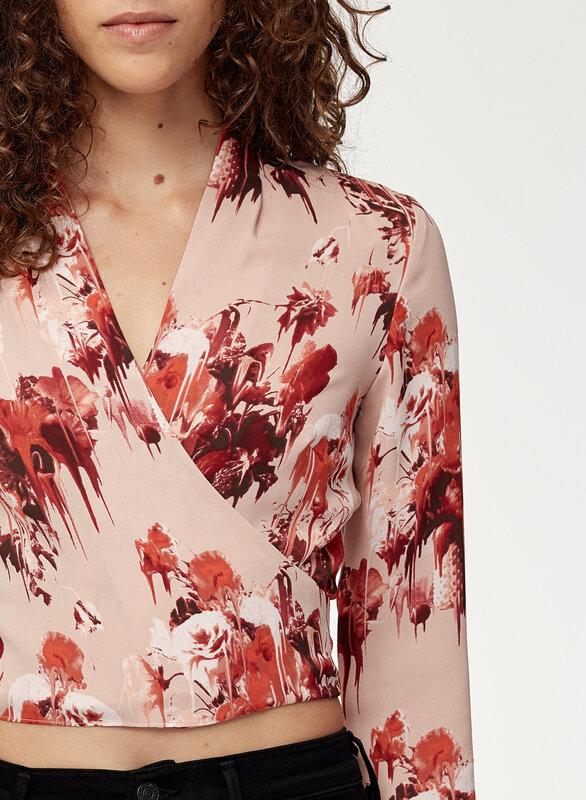 This blouse is so lovely and I received tons of compliments on the style and color!